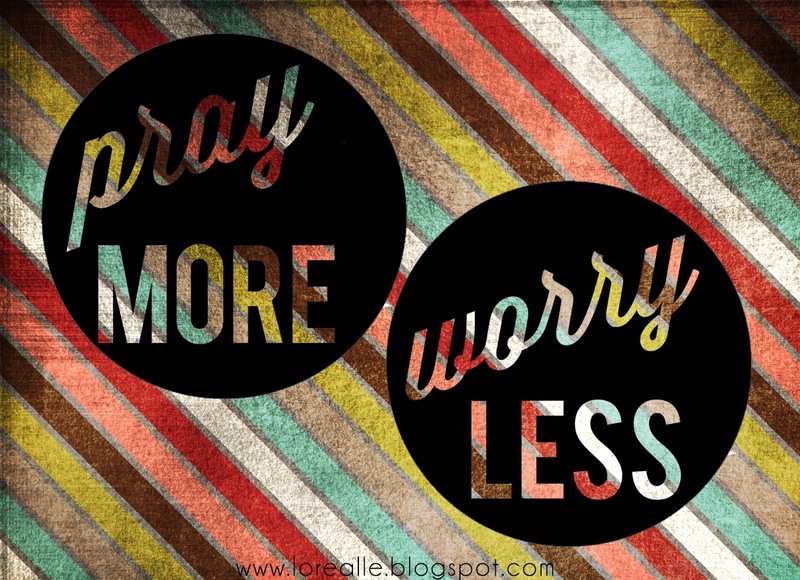 Welcome to the third week of the study Pray More, Worry Less. Sorry it's a few days late. I'm so super excited for this weeks subject, being thankful. Throughout our lives, we've all faced struggles. We've all made a mess of our lives at times. We've all had seasons of storms when it seems you can't even see the shore. No matter what form this season of your life comes in, we all know what struggling feels like. Every single one of us. And it's not a good feeling. And normally (in my case), it's not pretty. What makes the struggles a little easier to bear? Knowing we have someone to lean on. It’s so comforting to know that during those times, we are never ever truly alone. It is not easy to be thankful in every circumstance. But when we choose to thank God in the midst of difficulty, it defeats the forces of darkness in the spiritual realm. When we thank God for every gift He has given us even when things are hard, the enemy loses the battle against us. He is stopped in his tracks when we come to God with a thankful heart. I know how to be abased, and I know how to abound, Everywhere and in all things, I have learned both to be full and hungry, both to abound and suffer need. Most of us are familiar with the trials and tribulations of Apostle Paul as he traveled and spread the gospel. At one point, Apostle Paul was in prison along with Silas. Even in this situation–jail–Apostle Paul still resounded with joy. He and Silas had a devotional service right in their prison cell. You see, Apostle Paul lived for Jesus and for no other reason! And, Paul was grateful–even while he was in prison. In the darkest days of his life, he wrote Philippians, the most positive book in the Bible. Paul knew the power of a thankful life. He was thankful in good times and bad. He knew that God was conforming him to His image through every trial he faced, if he handled it correctly. He knew that a heart overflowing with thanksgiving could turn any situation around for good. Thanksgiving is defined as the expression of gratitude, especially to God. Giving thanks to God for all of His blessings should be something that sets believers apart. We can't allow a spirit of ingratitude to harden our heart or change our relationship with God. Be thankful for where you are! Be thankful for the job that you do have! Your house may not be as fancy as some others, but it’s yours. You may not even own a house–be thankful that you have somewhere to live–a place of rest. If there is nothing else to be thankful for, be thankful you have Jesus! It’s not about getting things in life, it’s about having a relationship with Jesus! No matter what this hard season is, throughout pain and despair and when things are at their worst, there is always always always something for which you can thank God.Paul had been through so much, more than we could ever imagine. Yet, he was thankful. When asked how he did it, Paul replied, “I can do ALL things through Christ who strengthens me” (Philippians 4:13). We tend to forget how blessed we are and focus solely on the problems we have. We need to switch our focus to how much the Lord has done for us, how good it is to still have joy, how good it is to be alive and well.